The removal of Michael Sepic as Berrien County (MI) Prosecutor is of essential importance because a District Attorney in the 21st Century should not reinvent the bad example of Birmingham, Alabama's 1960s Police Chief, Eugene "Bull" Connor or Tupelo's infamous Sheriff Lawrence A. Rainey. Fifty years later, Michael Sepic's office is exhibiting and practicing some of the uglier characteristics common to both of these men, powerful public officers who achieved lasting, justifiable international notoriety because of their criminal excesses in the name of the law. 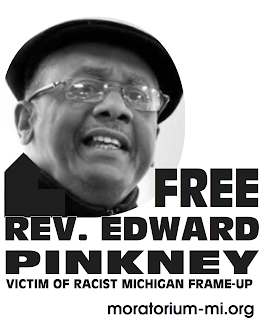 Today the responsibility in Berrien County for its anti-human, anti-Constitutional acts consistently directed against the city of Benton Harbor in general and one Reverend Edward Pinkney in particular, belongs largely to Michael Sepic - even though he doesn't, can't possibly act alone. By any standard, judges like Dennis Wiley, recently censured by the Michigan Supreme Court for misconduct, and a serially drunken public defender who's reportedly been impaired by alcohol on multiple occasions in court, provide for little but a twisted image of Berrien County justice. In any event, sending a combat-equipped SWAT team to arrest an elderly, small-framed, demonstrably non-violent man on the basis of highly questionable, non-violent charges involving vote fraud, renders the accusations against Michael Sepic in the opening paragraphs of this statement into something physically manifest. Coldly calculated to suppress free-speech activity and with the obvious purpose of terrorizing, one wonders if Mr. Sepic sent his spanking-new, Pentagon-supplied MRAP on the raid too. 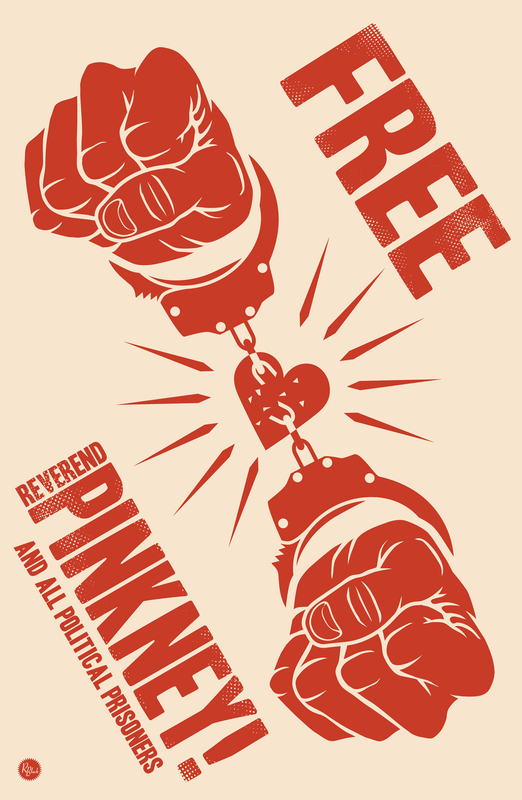 He could have sent a 4'10" meter-maid to arrest Pinkney and the Reverend would have acquiesced peacefully. He always has ... and Sepic knows it. He knows it well. I also demand Sepic's removal because, as a U.S. citizen and resident of Michigan I am personally offended by judicial-prosecutorial disregard for federal, state and common law, disregard that appears ordinary practice in Berrien County courtroom proceedings. No number of politicians, judges, cops or tour pros claiming exactly the opposite can change the outrageous defecate I've watched repeatedly issue from Berrien courtrooms and Prosecutor's Office over the past several years. I insist on Sepic's removal because the Berrien County "justice" system is an oligarch's script with an invariably dark, unjust and predetermined outcome. I demand his removal because continuance of his public-financed charades are destined to damage us all, not just the impoverished black residents, the HUMAN BEINGS of Benton Harbor. I demand Sepic's removal because, as Montesquieu expressed, "There is no greater tyranny than that which is perpetrated under the shield of the law and in the name of justice." Sepic must go because of the thought expressed by Isaiah Berlin, "The first people totalitarians destroy or silence are men of ideas and free minds." In my experience Reverend Edward Pinkney has demonstrated himself to be a man of ideas blessed with a free mind - far too free a mind - in the apparent opinion of St. Joseph's white courthouse. Superficially at least and certainly in Pinkey's case, Michael Sepic appears to be a petty tyrant toiling on behalf of self-possessed, self-absorbed Plutocrats. Sepic must go and the courthouse scoured because, as Plutarch pointed out 2,000 years ago, "An imbalance between rich and poor is the oldest and most fatal ailment of all republics." In Benton Harbor-St. Joseph, the insistently guiding hand of Whirlpool-Upton's control and rule cannot be ignored. Nor should accompanying, Whirlpool-driven forced gentrification and land-grabs be ignored, despite being largely fait-accompli in the case of Harbor Shores development. People should conscientiously drag their perceptions, their awareness out of TV's mind-control matrix and take a good look around. Except for increasingly few islands of ease like Harbor Shores, our nation is falling apart - and the Michael Sepics of this land, with their increasingly brutal, increasingly unaccountable and petty cops, are making damn sure people won't, can't do a single thing about it. This is important to me because, as Henry David Thoreau questioned: "Must the citizen ever for a moment, or in the least degree, resign his conscience to the legislator? Why has every man a conscience then? I think that we should be men first, and subjects afterward." So do I; and if "men" no longer properly serves, make it 'people,' 'humans' with universally equal rights. The terrorizing, theatrically grandstanding SWAT team invasion of Edward Pinkney's home stands as an invincible counterpoint to the gargantuan, ugly lie that militarization of our police forces is for keeping We the People "safe" from terrorism. Since 9/11 police forces nationwide have been thoroughly militarized, brought under the greater umbrella of "Homeland Security," "Northern Command" (Pentagon) and FEMA. The purpose is for providing the Power Elite among us absolute, lethally-enforcible and enforced control. Already the world's leading prison state, the U.S is being inexorably turned into a "free fire zone," with OUR cops drawing down on us more and more frequently - with less and less accountability. Neither Constitution nor law is being conscientiously served or faithfully observed by "authority" anywhere in the U.S. these days. Michael Sepic's office manifests this disservice as blatantly as any in the State of Michigan, possibly most blatantly of all. Worse, the abuse has become increasingly vicious of late, with the apparent intent to instill fear of murder-by-police in a man whose only weapons are his free mind and 1st Amendment-protected activism. It seems to be Sepic's wish to lead and exemplify an ever-expanding, thoroughly atavistic trend of naked power and officially-employed lethal force in Michigan, and for exactly this reason he must be removed from policy making, public office and law enforcement; get him gone. May all our public officers, especially the highest, be made accountable, genuinely subject and subservient to the democratic will of We the People, our incomparable Bill of Rights and common law.